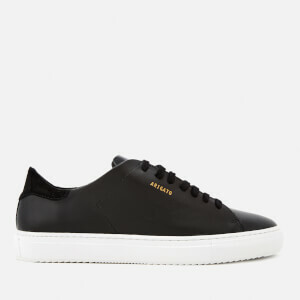 Men’s ‘Clean 90’ leather low top trainers from Axel Arigato. 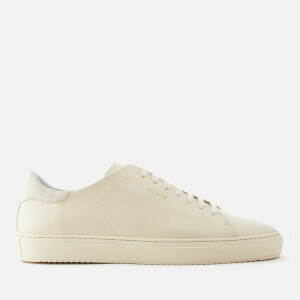 Crafted from smooth Italian calf leather, the shoes comprise a minimalist lace-up design with tonal cotton laces and a suede overlay at the heel. A cushioned footbed and in-built arch support ensure ultimate comfort, whilst a cemented rubber cup sole offers maximum grip and durability. Gold foil branding to the side completes the design.